Like I said I am now all back from my travels. Obviously, I do have another travel to go this week actually on Thursday for a Learning Centre’s grand opening. Even though I am not going to be present in Vancouver, I will still host my daily huddle like always, every Monday to Friday at around 6PM Pacific, 9PM Eastern to answer 5 burning questions that you may have. Now, if you want your question to be featured in your daily huddle, all you got to do is simply go to www.fredlam.com/ask, fill in that form in there and I will get your question featured. Now in today’s topic, one of the obviously follower of mine asked me about some questions about being an international personnel that wants to actually create an eCommerce business so I’m going to actually share some advice for every single one of you that are outside of North America or you may be in Gerrmany or you may be in France, you may be United Kingdom or wherever you are around the world, you will still be given the ability to obviously create an online business because all you really need is just a laptop, internet connection and a credit card and you can literally get started. [0:02:30] Question 1:I'm based in the UK, if I do dropshipping business from AliExpress it takes 20 to 40 days for goods to arrive. This will put many customers off and business will not be successful. What is the alternative or solution? I’m based in the UK, if I do dropshipping business from AliExpress it takes 20 to 40 days for goods to arrive. This will put many customers off and business will not be successful. What is the alternative or solution? Here’s the deal, I’m going to show you some advice for you obviously, for anyone that are outside of North America, I’m going to share some advice with you right now so you can take it into action. These are practical steps that you can take. So, when you are creating an eCommerce business and you are dropshipping out of Aliexpress, the first thing that you got to get handled is going to be your payments – very important. I’m not sure where about you are in United Kingdom. I believe Shopify payments is not available in United Kingdom, correct me if I’m wrong. Shopify continually keep adding more places to accept Shopify payments. If you can’t have Shopify payments and for some of you guys, you will have the ability to use Stripe. I would say first option go with Stripe first. If you do not have stripe in your country then you can look into simply just using PayPal for your processor. Now, if you do not have Shopify payment, Stripe or PayPal what you can do is look into 2checkout.com or BlueSnap. These are payment providers for anyone that are basically from international so if you’re outside of these countries that do not allow you to have PayPal, Stripe or Shopify payments. Look into 2checkout.com and BlueSnap. That’s advice number one for you. Now, advice number 2 is that regardless of where you are at, I don’t know where you live in UK but regardless of in Africa or if you are in Egypt or if you are in Russia, doesn’t matter where you’re at, what you want to do is not sell within your country. You want to sports dabble into United States first, because that is where all the money are at when it comes to eCommerce especially in our world nowadays unless if you’re in China, that’s a different story but obviously advertising in Chinese and being a competitor to like AliExpress selling back into China it’s going to be very hard and it is basically going to require a lot of work and you basically needing to learn Chinese. I don’t think that is going to be a big option for a lot of you so with that you don’t really have to sell within your country. Now if you are wanted to sell within your country you want to look for vendors that have e-packet available to your destination. I do have a member of mine who is crushing it right now generating $3,000 a day simply just selling in France. He has a vendor from AliExpress that has e-packet directly to France. So, with e-packet it’s not just available in United States or Canada or New Zealand or Australia, there are other places that e-packet also has availability in. So, you want to check by simply when you’re in AliExpress, change the settings not to US, not to Canada but change to your country and search for ones that has e-packet availability within that country because at the end of the day, yes your selection and the vendor selection will be a lot less but however like you said and I have to acknowledge and agree with you that at the end of the day, you want to have happy customers because happy customers are the ones that will continue to come back and keep buying from you being an advocate of your brand and continue to share your store to their friends and family. Again I know that a lot of people from international or even from UK or any other country, you guys are basically wired on thinking that you should sell just within your country. 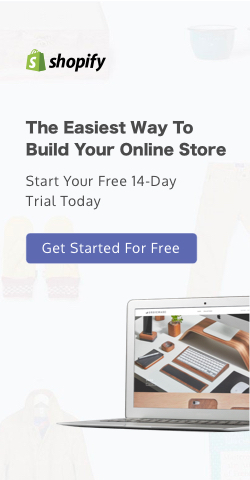 At the end of the day, when you have an eCommerce business which is an online business, the first day that you have your store up, you have access to the entire world. You can sell to the entire country. You don’t have to be physically present at the area, you can simply go from there. So that is very important, now here’s the third tip for every single one of you. This doesn’t just apply for anyone that is international, this applies if you are in US, in Canada or if you’re basically running an online business, one of the key things is for you to communicate with your customers. I’ve seen a number of stores that don’t respond to emails and don’t have a phone available for people to call. If you are a one-man person or a one-man-show for your business, obviously you don’t have to answer every single phone call but having a phone number that gives you the ability or gives your customer the ability to simply leave a voicemail will help tremendously and as long as you are in touch with your customers and if they email you and say hey I’ve been waiting for this product for like more than two weeks I still haven’t received it and if you respond to the email by (1) providing them with attracting information and (2) providing them an update, they will feel more comfortable and it will reduce unhappy customers. 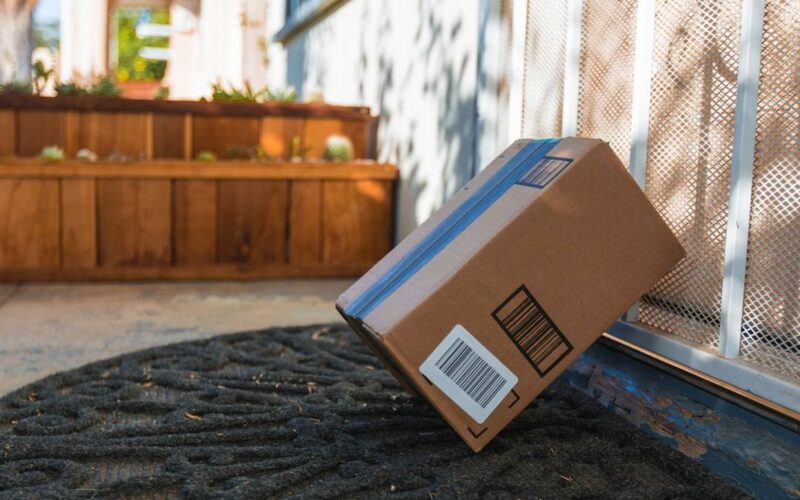 Now, here’s another strategy for you if you have a customer that is pretty outrageous and keeps mailing in, being persistent, complaining that they have not received the product, here’s a strategy for you, what you can do is say “Hey, we apologize that it took longer time for the shipping to arrive or your package to arrive. This is outside of our control because we have used the fastest shipping method possible for your products to get delivered; however, to make up for it, we’re going to give you an additional coupon” whatever discount you want, 25%, 30%, 40%, 50% whatever you can offer, offer it to your customer and say we apologize for this happening, we’re going to basically give you an extra coupon code for you so that if you see anything in your store, simply use it, it’s a courtesy of saying sorry and we want to make up for it. You can do that or you can basically say you know what the next time you actually order a product from us, we’ll give you another free product or whatsoever. So that way, you are being proactive in basically having customers sending messages and saying well at the end of this I have not received the product, I’m complaining. You are turning people or turning whiners into lovers. They will start basically saying wow I have a perfect shopping experience at your store. This is actually very important nowadays, what will help you win competitors and what will help you win customers is going to be the experience that your customer has received when they are shopping at your store. If you go an extra mile and offer services or offer being proactive and responding to them, at the end of the day, these customers will acknowledge it and they will feel memorable. 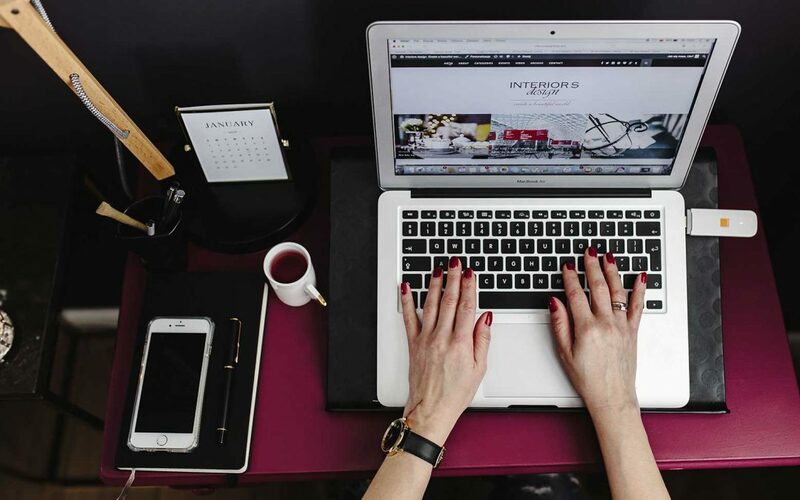 They will feel the experience is memorable and when that happens, guess what they will continue to come back to buy from your store open your emails and check out what you have to offer. It’s kind of like if you go to a restaurant, if you go to a restaurant, there are restaurant that are you know what the food are decent. it’s not the best it’s not the worst, but you continue to go back to that restaurant because the waiter or the waitress has been amazing every time you’ve gone there, you have a really amazing dining experience and you enjoy going back to spend your money because of the experience, not the food. So with that, you want to apply that into your store. So, being really proactive with your customers, offering them or going an extra mile by giving them like a courtesy coupon and even if you get them a coupon, guess what they come back to buy, you still make money because you marked up the price of the product in your store already. Now last but not least, here’s a very important tip for every single person that is outside of USA or outside of Canada, when you are running your store, you obviously want to primarily accept USD as the default currency. Now, what you can do is you can find a currency converter so even if you are let’s say accepting in British pounds but when the person IP address is in the United States, it will transfer everything into US dollars. You want to use US dollars as your primary source. Now again, some of you guys have the leisure to do so, some of you do not have the leisure to do so. Let’s say that if your account can only accept British pounds and when you actually receive that money into your bank account, it’s going to be in British pounds, when that happens what you want to do is that inside your Facebook advertising platform or Google or Bing advertising platform, make sure you pay your advertising fee in the same currency as what is being deposited right into your bank account. So that way, you are not going to lose the currency exchange rates to the banks. Banks are knowing to obviously make a killing off of you from currency exchange and you want to find an upside service to change your currency, maybe a local shop or somewhere or some other people that you know of, I have a direct relationship the bank with forex exchange, so my deal are always going to be the best but what I want to share with you is that for any person that is outside of US or the United States or North America, you want to make sure that the money that you receive and the money that you expense out are going to be the same currency so you don’t lose a couple percentage points for your currency exchange. A couple percentage points can make a drastic impact in your business obviously when the number starts to get massive. Just like for an example if you do $100,000 in a single year, 1% is equal to a thousand dollars and that is a thousand dollars that you could have saved or earned extra if you have set all these stuff at play. I hope that these tips really helped you out for any of you that are obviously outside United States. That’s the first question by Dran. 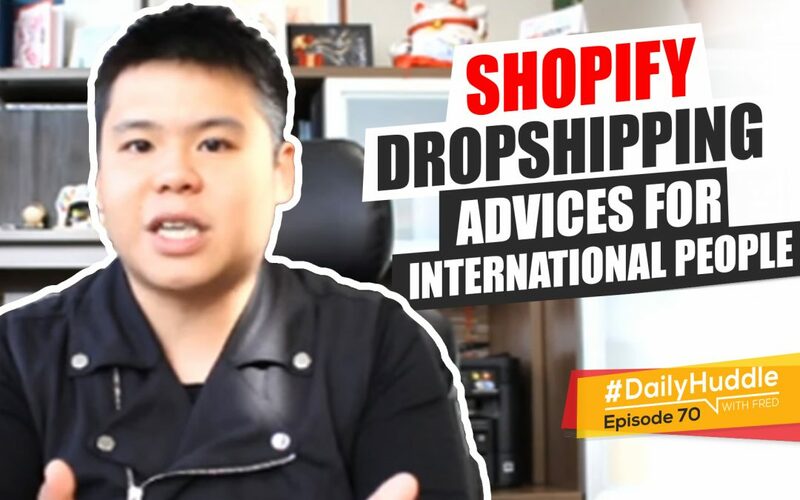 I hope that I answered your question fully and I hope that you all benefit from the advices that I just offered to every single one of you for being an international personnel that wants to run an eCommerce business. I think it is simply just a human error when you are setting up your Facebook ads, I feel and that’s what I can see right now based on what you have shared me, I think you selected the wrong Facebook ad accounts when you are creating it. So, that’s why when you have already installed your pixel, Facebook actually uses your other account and it didn’t read the pixel. 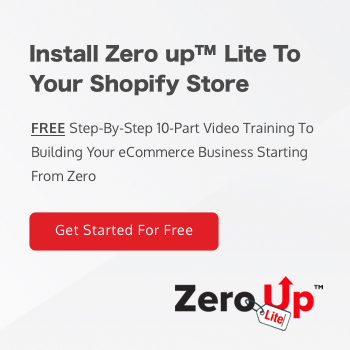 So, when you first start your Shopify store here’s a very important note, when you first start your Shopify store and you just added your pixel ID into Shopify, you will still be able to choose these standard events, like add to cart is obviously a standard event where you are telling Facebook to optimize your ad space on add to carts. You will have that option but it should be grayed out or it should be in red. Red really means that there’s no activity going on, gray means that it is still pending waiting for data and when you first just put in your Facebook pixel, Facebook doesn’t have traffic or basically you don’t have traffic going to your site to go through your funnel to trigger those events yet, so when that happens it is fine, still select it and as long as you make sure that the pixel ID is in place and you have selected the correct ad account, then you should be fine. I hope that helps you out. [0:16:47] Question 3: What's the best way to generate more interest on fitness business page Facebook that will help sell for example bootcamp packages? Hi, Fred! What’s the best way to generate more interest on fitness business page Facebook that will help sell for example bootcamp packages? Many thanks! First of all, I don’t think you want to get interested towards your fitness business page, what you want to do is to create and offer that attracts the prospect to go through your sales funnel. ‘m not sure what kind of boot camp packages you are talking about. Are you talking about a local business or a digital business? Based on what I can see if you’re talking about a bootcamp, to me it seems like it is a local business. So, what you want to do is as follow if especially if you want more signups towards your bootcamp (1) you want to create an offer, an offer it’s going to be super important – I would suggest you to craft a funnel crafting offer to basically go in markets. You want to go in market with an offer and with that then you want to create an ad to attract the people within the audience or basically within Facebook and really find those audience. Now what I would actually do and go after is the following if you want to find more interests : (1) you want to basically come up with three main keyword interest targeting. First one it’s going to be the main keyword so in Fitness, I’m not sure what kind of fitness you’re going after, let’s say if you’re going after CrossFit, then CrossFit training is going to be a good one. Number two, you want to look for a brand within the market that is already doing super well. So, let’s say that if you’re in the we can have some kind of like boxing component to it, you can go after the brand like Everlast. Those are basically brands that offer boxing gloves and all those other thing. The third is going to be a public figure. There are always going to be a public figure within a certain niche. Let’s say if we’re still in the boxing area on the side of things, you can go after I don’t know McGregor or Mayweather or all those other guys. With those information, you want to go into the audience insights and put in in the targeting these 3 key words one by one and from there, you want to click on page likes to actually see other interest targeting. That’s what I would do if I were you to actually expand your interest targeting using the audience insight but again your offer is going to be super important and going out into the market. I hope that helps you out. [0:20:08] Question 4: What is your strategy when you are planning to target that product to countries outside of the United States? Different countries show different response to certain product. Do you pick a country and apply the 3x3 product or you try 3x3 with different countries at the same time? Hey Fred I like the 3×3 method. What is your strategy when you are planning to target that product to countries outside of the United States? Different countries show different response to certain product. Do you pick a country and apply the 3×3 product or you try 3×3 with different countries at the same time? Great question, I actually shared this in one of my episode before in my daily huddle. One thing that we have been testing a lot and I have to give full credit to one of my team member, Ryan Chin, this smart Korean dude that’s basically in my team right now. He owns this year I think he’s going to hit seven figure with his eCommerce store. So, one thing that he basically have tested tried and I even tested personally it did really, really well and it can go hand and hand in my 3×3 method is to go after the worldwide campaign and have exclusions of countries that are knowing not to buy. I don’t have that country list in front of me, but that’s what you to do. Run a worldwide campaign exclude United States if you already have the United States running and top countries that are proven not to convert. I don’t have that list in front of me so I can’t remember exactly what they are. From what I remember was like 20 different countries that we won’t advertise to. So, you can set up a worldwide campaign and then let Facebook decide where you are going to get the best bank for the buck. You can still apply it so out of the three ad set, one of the ad set can use the same targeting but just worldwide campaign. I hope that helps you out. [0:21:56] Question 5: As Facebook strategies change with time, what strategy for 2018 that you recommend? Hey Fred! As Facebook strategies change with time, what strategy for 2018 that you recommend? So, yes there has been a lot of changes going on inside Facebook and as a matter of fact, Mark Zuckerberg just went to a public speak and hearing about the Cambridge incident. Here’s the thing, the strategy is still the same. You’re still using website conversion. You’re still using video views, now there is an additional layer now obviously in 2018 that we obviously start to apply a lot of in our store right now. So, what we’ve been doing that really helps and this is again a little bit more advanced is we start creating video views look-alike. So when you create a video ad or when you create a video or you post a video on Facebook, you create a custom audience of anyone that watched 10 seconds, 25%, 50%, 75% in 95%, from there we retarget to the people that actually watched the video. So with the video going out, we’re advertising it and then we retargeting with different message to anyone that actually watch the video. On top of that, we start to cascade outside to the broader market by simply running look-alikes based on the video watch time segment. So that way, we are utilizing look-alike audience that actually go in market. So the strategy is still the same, it’s just that there are more ways for you to capitalize your traffic and your investment and one of them is basically creating segmentation using custom audience and create a different customer journey for wherever your customer is at in your customer journey. Also, using look-alike audiences of those different customers journey segments. These are the strategies again video ad still works really, really well but here’s an interesting data that we have been seeing a lot – there’s also one thing that we have seen lately and it’s actually pretty interesting and surprising. I think it really drills down to the reason is because a lot of people obviously have been using video ads and as we all know the more demand there are and the lesser supply there is, cost goes up. So what we have been doing and what we have been seeing a lot lately is that image ads for some odd reason it’s getting this lower CPM. So you definitely want to test that again, when you are running ads when you are testing or when you are simply scaling your Facebook campaign, you don’t want to just rely on one strategy, video ads is great but hey image ad from time to time run it and see what the CPM looks like, we’re getting super cheap CPM for image ads right now versus video ads running through the same targeting. Again, why that happens I think it’s an inventory thing but at the end of the day, I’m seeing that result right now for my stores so you definitely want to test it out and you want to consistently test different things for your store and for your ads because that’s how you basically do not exhaust the audience and that’s how you can continue to scale up your business basically using Facebook Ads. I really hope that these tips really helped you guys out and again if you like these videos, if you like my daily huddle, make sure you click the like button, subscribe to my YouTube channel, follow me on Instagram. I actually show more stuff on Instagram nowadays. I’m basically trying to post once a day on Instagram right now. So definitely follow me on Instagram and again if you love this if you think your friends family can benefit from this share this video to them, tag them on Facebook or tag them on Instagram and share this link out. Every single day I’m going to be hosting a daily huddle to answer 5 questions. Here’s one thing that I want to bring out and it’s basically rant time. At the end of the day there are going to be haters, haters are going to hate. There are people that are saying that oh I’m a scam artists and I don’t I’m not giving practical advice and you know what for those of you that are in my group that say it you can simply just leave that group. If you’re not seeing any value on what I’m doing, what I’m sharing all my videos and everything just simply leave. I don’t need any negativity in my business and obviously in my groups and the ones that actually took my advice and ran with it and start implementing go check out my Instagram channel, I have been posting case studies and results of my students and I think those going to work a lot more than me basically telling you to F-off. So again just some ranting times, at the end of the day again if you guys loved our daily huddle make sure you subscribe to my YouTube channel, like my Facebook page, follow me on Instagram and most importantly, if you have a question that you want to get featured in our daily huddle make sure you go to www.fredlam.com/ask and fill in the form and I will get your question answered. That’s it for today guys. I look forward on seeing you tomorrow at the same time. See you then!